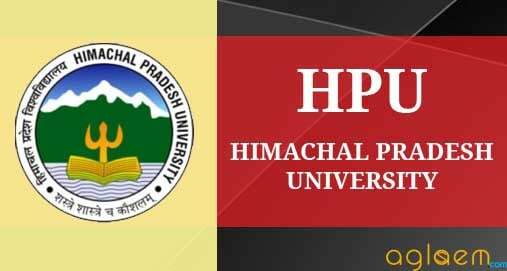 Himachal Pradesh University (HPU) has announced admission to its M. Tech. (Computer Science) programme of session 2018-19 through an entrance examination. The commencement of filling the forms for the entrance examination had been started online at the official website. 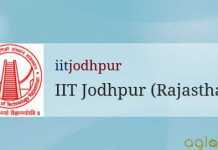 The entrance examination of HPU M.Tech 2018 has been held on June 18, 2018. Students were able to apply online through the official website and the registration details are given below in this article. Latest: Fourth Waiting List of the candidates selected for HPU MTech (CS) Admission 2018 has been released. Candidates can check the same from “Result” link below. Interested candidates were able to fill out the application form and had submitted it before the last date of the application form submission. The admission will be done on the basis of merit in the entrance test. The applicants are advised to go through the guidelines thoroughly before filling up the application form. Duration of Course – Two years full-time post-graduation course spread over four semesters. The counseling shall be held in the Department of Computer Science in the H.P. University, Shimla for admission to the M. Tech. (Computer Science) course. The candidate has to attend the counseling in person along with all the original testimonials. The candidates shall be called for Counseling / Admissions in order of merit in the ratio 1:3 i.e. three times the number of available seats. The result of the entrance examination and list of candidates called for interview will be available on the website of the department. No Separate counseling letter will be issued /sent to the candidates. Certificates supporting In-service candidature, if applicable. An affidavit in which the candidate states that he / she is not doing any govt / private job. In case of a tie in marks scored in the entrance test, the candidate securing higher %age of marks in the qualifying exam shall be admitted first. Even if the tie is still not resolved, the candidate having higher aggregate marks in any two of the following (in which his marks are higher) shall be admitted first: Matriculation / Hr. Sec. Part-I / Hr.Sec.Part-II / Prep / Pre-Med / Pre-Engineering / Intermediate / any other equivalent examination. Further, if the tie is still not resolved, the candidate younger in age shall be admitted first. HPU M.Tech CS 2018 Application Form was available online. Candidates who wanted to apply in this course in Himachal Pradesh University had applied on or before the last date. Before filling the application form, candidates must ensure his / her eligibility. Candidate should upload a recent scanned coloured photograph of maximum size 100 KB. He should then upload a Scanned copy of signature with black/blue pen only. It is also required to upload the scanned copy of candidate’s Father/Mother signature. Candidate shall fill the personal details which are required in the form. He should then Upload the documents. All necessary fields will be marked with red star. After filling all the required details candidate should save the information by clicking on the SAVE button at the last of the page. A unique registration number will be generated.Kindly, note down the registration number for future references. After filing the form, candidate needs to pay the application fees through online payment or by using Challan mode. Candidates, who have passed their Master’s degree with a minimum of 55% marks (50% marks for SC/ST category). Any examination of foreign university,which is recognized as same or equivalent by the committee of H. P. University or on the recommendation of Association of Indian Universities with minimum marks being 55% (50% marks for SC/ST). Admit Cards will be sent to only those candidates whose application form, ADMIT CARD, Identification Sheet and the self-addressed envelope (with postage stamps of Rs.6/- affixed on it) must reach the Chairman, Department of Computer Science, H.P. University by the last date. Candidates will receive their admit card before 5 days of the commencement of the test. If a candidate fails to receive the roll number five days prior to the holding of the entrance test, he/she himself/ herself should enquire from the Department of Computer Science about his/ her eligibility etc. LATEST BY FOUR DAYS BEFORE THE COMMECEMENT OF THE TEST. No enquiry shall be entertained after this period. This roll number is only provisional and does not ensure admission/ eligibility in the M. Tech (CS) course.. The candidate is required to confirm his / her result from the department, if he / she is unable to locate the result from the department’s website. In the absence of requisite postal stamps on the self addressed envelop, the admit card shall not be sent to the candidate. Answers must be marked in blue/ black pen with blue/ black ink. Ink of any other color is not permitted HPU MTech (CS) Admission 2018. Candidates who appear in the entrance exam can check their result on the official website. Direct link to check the HPU MTech (CS) Result 2018 will be available on the “Result” page available in the quick links section. Candidates shortlisted after the application process will have to appear in the entrance test. After the entrance test merit will be based. On the basis of the merit candidates will be called for counselling. The candidates who have qualified GATE / NET / SLET in Computer Science or Engineering will be given 20% extra of the marks obtained in the entrance test for calculating the merit for the purpose of admission. Minimum pass marks in the entrance test shall be 35% i.e. 70 marks out of a total of 200. 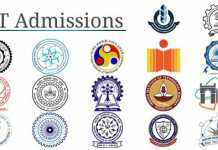 For more details of HPU MTech (CS) Admission 2018 – Download Information Brochure.